WASHINGTON, Sept. 27, 2014 - U.S. and partner nation military forces continued to attack ISIL terrorists in Syria Friday and today, using fighter and remotely piloted aircraft to conduct seven airstrikes. Separately, U.S. military forces used attack aircraft to conduct three airstrikes against ISIL in Iraq. In Syria, an ISIL vehicle was destroyed south of Al-Hasakah. Also near Al-Hasakah several buildings that were part of an ISIL garrison were destroyed. An ISIL command and control facility near Manbij was damaged. An ISIL building and two armed vehicles at the Kobani border crossing were destroyed. An ISIL held airfield, an ISIL garrison and an ISIL training camp near Ar Raqqah were damaged. To conduct these strikes, the U.S. employed U.S. Air Force and U.S. Navy attack and fighter aircraft deployed to the U.S. Central Command area of operations. In addition, the Kingdom of Saudi Arabia, the Hashemite Kingdom of Jordan, and the United Arab Emirates also participated in these strikes. All aircraft exited the strike areas safely. In Iraq, three airstrikes southwest of Irbil destroyed four ISIL armed vehicles and destroyed an ISIL fighting position. All aircraft exited the strike areas safely. 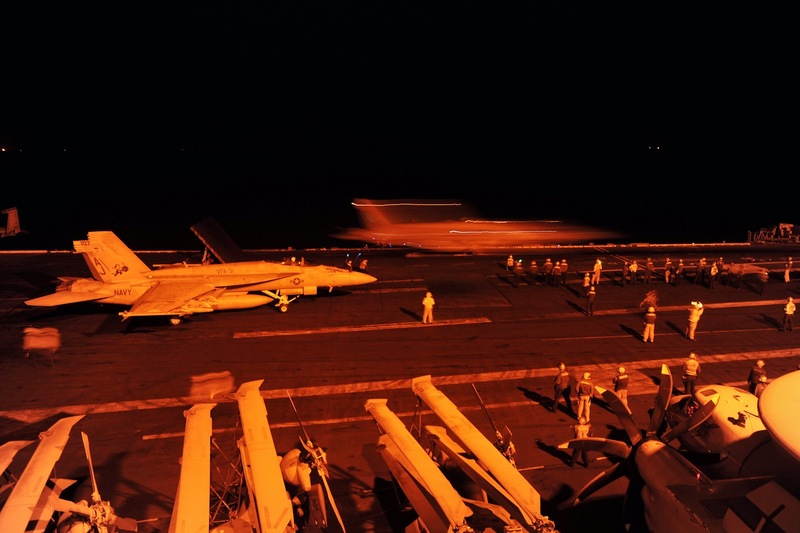 The strikes were conducted as part of the President's comprehensive strategy to degrade and ultimately destroy ISIL.